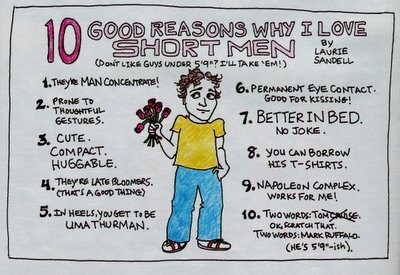 This is dedicated to all of the "short" guys out there. 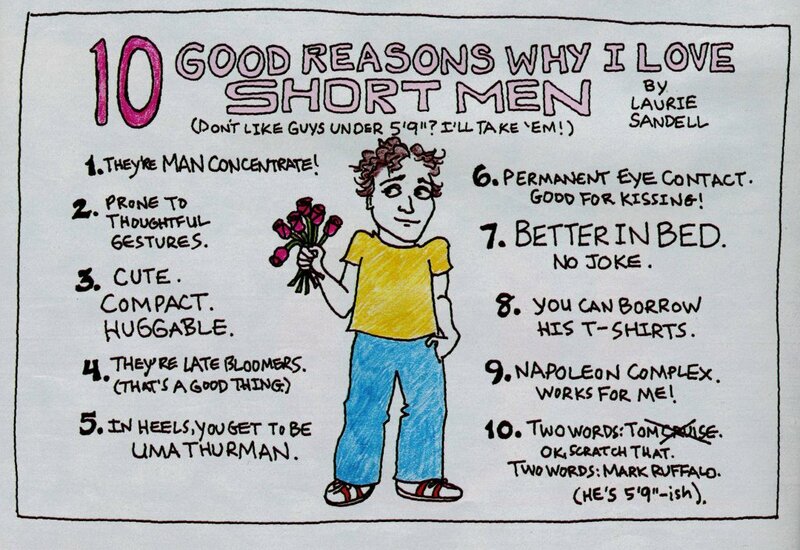 And all you women who like Tall guys, take note!! Hilarious! Also, hilarious...where you actually found this gem of a comic. Have you read through the rest of the magazine yet? Pretty insightful stuff. Hells yea! Go Glamour. I read the rest of the magazine when I was at your place, all I needed was the cartoon!